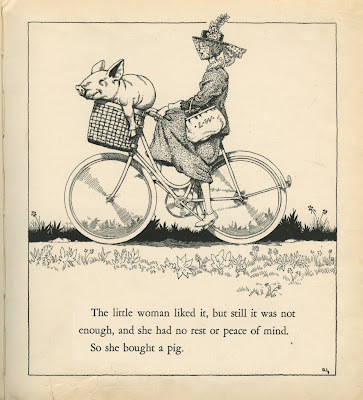 Illustration by Robert Lawson in the book titled, "The Little Woman Wanted Noise" by Val Teal. 1943. A charming library discard that I picked up at the Hazard Library Book Sale. The illustrations are fantastic. I can't bring myself to sell it.